To invest in dividend stocks, you should do research into which dividend stocks you want to invest in. You do want to find stocks that offer a high yield. You also want companies with a long track record of paying out their dispute on a consistent basis, while also increasing their dividend as well. There are plenty of companies that pay good dividends and meet these criteria, it's just a matter of choosing which stocks are right for you. I like to keep it simple by choosing blue chip stocks to invest my money in. If you do not want to put a ton of research into building your portfolio, it does not hurt to look at the list of Dividend Aristocrats, and then choose a stock or two from each sector that you're at least somewhat familiar with. For example, chances are that you have a good understanding of Walmart, McDonalds, Microsoft, Exxon-Mobil, Wells Fargo, Verizon, etc. and how their businesses operate. You can also use Google Finance's nifty little "stock screener" tool which allows you to narrow down your list of potential dividend stocks. The screener allows you to pick a sector, and then narrow the stocks down by market cap, P / E ratio, 52w price change, and dividend yield% (which you have to manually add via the "add criteria" button). I leave the P / E ratio and 52w price change settings as the default, and then change the market cap minimum to companies at 10B or higher, since I'm interested in large, blue chip stocks. I then set the minimum div yield (%) to 2.50%, since that's the yield range I'm looking for. Then, when you go through each sector, Google will spit out a list of stocks that meet your criteria. It is then up to you to choose which companies you feel most comfortable investing in. Here we have hit on most if not all of the sectors, have chosen all blue-chip, well-known companies, and have a yield from each one at least 2.50%. This is a great starting point (although it is only an example). The thing to remember about investing in dividends is that these are long term investments. You are not trying to make a quick buck by buying and selling these stocks frequently. If you want to earn income from your dividends and watch your portfolio grow, you have to be extremely patient with this kind of investment – we are talking 10, 20, or even 30 years or longer. You need that kind of time to allow the magic of compound interest to take hold. Forex option brokers can generally be divided into two separate categories: forex brokers who offer online forex option trading platforms and forex brokers who only broker forex option trading via telephone trades placed through a dealing / brokerage desk. A few forex option brokers offer both online forex option trading as well a dealing / brokerage desk for investors who prefer to place orders through a live forex option broker. The trading account minimums required by different forex option brokers vary from a few thousand dollars to over fifty thousand dollars. Also, forex option brokers may require investors to trade forex options contracts having minimum notional values ​​(contract sizes) up to $ 500,000. Last, but not least, certain types of forex option contracts can be entered into and exited at any time while other types of forex option contracts lock you in until expiration or settlement. Depending on the type of forex option contract you enter into, you might get stuck the wrong way with an option contract that you can not trade out of. Before trading, investors should inquire with their forex option brokers about initial trading account minimums, required contract size minimums and contract liquidity. Plain Vanilla Forex Options Broker – Plain vanilla options generally refer to standard put and call option contracts traded through an exchange (however, in the case of forex option trading, plain vanilla options would refer to the standard, generic option contracts that are traded through an over-the-counter (OTC) forex dealer or clearinghouse). In simple terms, vanilla forex options would be defined as the buying or selling of a standard forex call option contract or forex put option contract. There are only a few forex option broker / dealers who offer plain vanilla forex options online with real-time streaming quotes 24 hours a day. Most forex option brokers and banks only broker forex options via telephone. Vanilla forex options for major currencies have good liquidity and you can easily enter the market long or short, or exit the market any time day or night. Vanilla forex option contracts can be used in combination with each other and / or with spot forex contracts to form a basic strategy such as writing a covered call, or much more complex forex trading strategies such as butterflies, strangles, ratio spreads, synthetics, etc . Also, plain vanilla options are often the basis of forex option trading strategies known as exotic options. Exotic Forex Options Broker – First, it is important to note that there are a couple of different forex definitions for "exotic" and we do not want anyone getting confused. The first definition of a forex "exotic" refers to any individual currency that is less broadly traded than the major currencies. The second forex definition for "exotic" is the one we refer to on this website – a forex option contract (trading strategy) that is a derivative of a standard vanilla forex option contract. To understand what makes an exotic forex option "exotic," you must first understand what makes a forex option "non-vanilla." Plain vanilla forex options have a definite expiration structure, payout structure and payout amount. Exotic forex option contracts may have a change in one or all of the above features of a vanilla forex option. It is important to note that exotic options, since they are often tailor to a specific investor's needs by an exotic forex options broker, are generally not very liquid, if at all. Exotic forex options are generally traded by commercial and institutional investors rather than retail forex traders, so we will not spend too much time covering exotic forex options brokers. Examples of exotic forex options would include Asian options (average price options or "APO's"), barrier options (payout depends on whether or not the underlying reaches a certain price level or not), baskets (payout depends on more than one currency or a "basket" of currencies), binary options (the payout is cash-or-nothing if under does not reach strike price), lookback options (payout is based on maximum or minimum price reached during life of the contract), compound options (options) on options with multiple strikes and exercise dates), spread options, chooser options, packages and so on. Exotic options can be tailored to a specific trader's needs, therefore, exotic options contract types change and evolve over time to suit those ever-changing needs. Since exotic currencies options contracts are usually specifically tailor to an individual investor, most of the exotic options business in transacted over the telephone through forex option brokers. 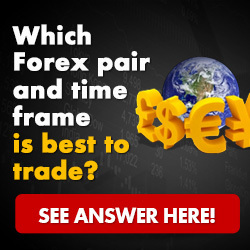 There are, however, a useful of forex option brokers who offer "if touched" forex options or "single payment" forex options contracts online where an investor can specify an amount he or she is willing to risk in exchange for a specified payout amount if the undering price reaches a certain strike price (price level). These transactions offered by legitimate online forex brokers can be considered a type of "exotic" option. However, we have noticed that the premiums charged for these types of contracts can be higher than plain vanilla option contracts with similar strike prices and you can not sell out of the option position once you have purchased this type of option – you can only attempt to offset the position with a separate risk management strategy. As a trade-off for getting to choose the dollar amount you want to risk and the payout you wish to receive, you pay a premium and sacrifice liquidity. We would encourage investors to compare premiums before before investing in these kinds of options and also make sure the brokerage firm is reputable. Firms Offering Forex Option "Betting" – A number of new firms have popped up over the last year offering forex "betting." Although some may be legitimate, a number of these firms are either off-shore entities or located in some other remote location. We generally do not consider these to be forex brokerage firms. Many do not appear to be regulated by any government agency and we strongly suggest investors perform due diligence before investing with any forex betting firms. Invest at your own risk with these firms.